This family home is wonderfully located, just a few meters to the white sands of Jervis Bay and quick walk to Vincentia Shopping village! Great front and rear deck to enjoy your morning coffee in the morning while listening to the ocean waves crash. 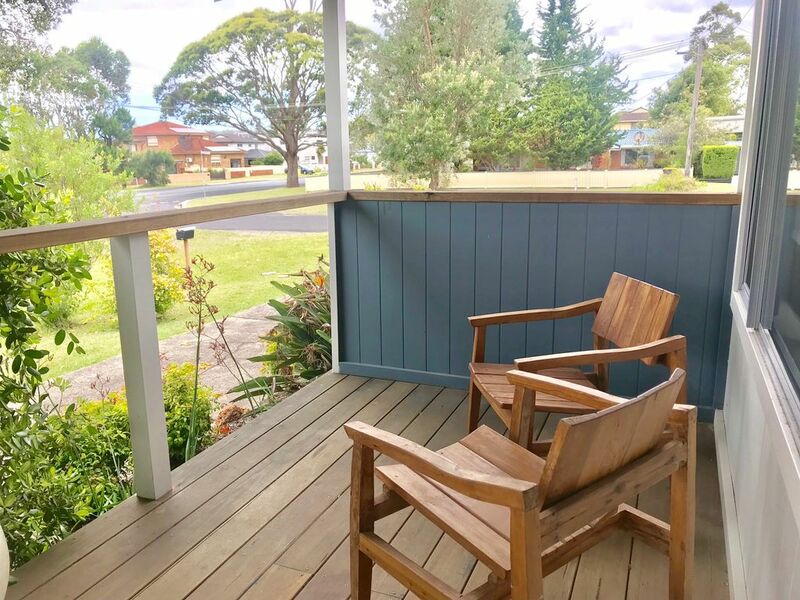 Straight across the road to Collingwood beach, this three bedroom house is ideal for families. Recently updated with new Kitchen, brand new carpet, and freshly presented. This three bedrooms home sleeps 8, two bathrooms, Lounge, full kitchen, back sunroom dining area, decking area with BBQ and outdoor setting, large backyard with outdoor shower. Inclusions: TV, DVD, Microwave, Fridge, Washing Machine, 2 Toilets, 2 Showers, 1 Bath. Plenty of Room for Boat Parking. Enjoy your next Holiday at Berry by the Bay! Great house for family - close to beach. Quiet and private with lovely back deck and yard. Kitchen was fresh and had everything needed for cooking for the family. Hot outdoor shower a bonus!